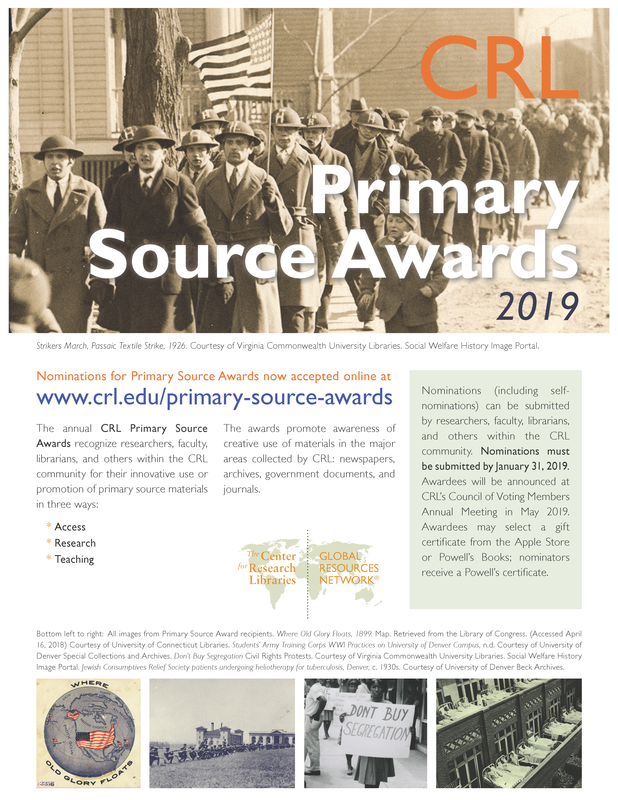 CRL created the Primary Source Awards program to promote further awareness and use of primary historical evidence in research and teaching. Recognizing innovative uses of primary sources helps librarians and specialists in the CRL community better understand the practices and the needs of scholars today. Promoting discovery and use of primary source materials. Innovative use of primary source materials in research projects. Employing primary source materials in the classroom. Preview the full nomination form. Persons nominated for Primary Source Awards must be librarians or library staff, faculty members (includes adjunct faculty and instructors), graduate students, and administrators within the community of CRL libraries.